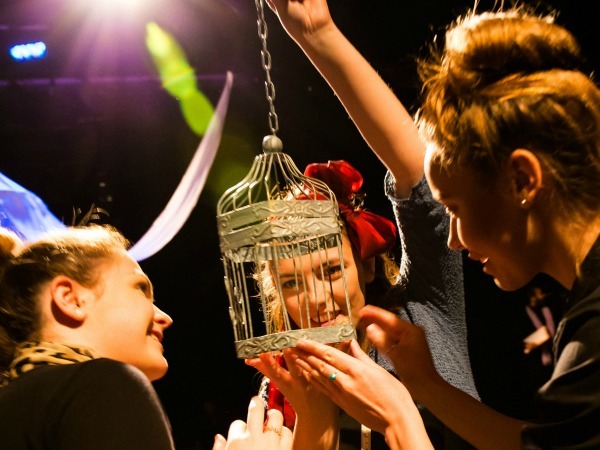 Our BA (Hons) Applied Theatre aims to inspire the next generation of passionate and skilled theatre-makers. Our focus is on developing the skills and understanding needed to create compelling new performances and theatre projects with purpose. We are concerned not only with how we make theatre, but also why. *media gallery images from 2017 'Do You See What I See' production. The majority of what you will learn through studying Applied Theatre will be through practical experience. You will bring the skills and passion you have, and learn how to apply them; as well as gaining new skills in facilitation, devising, and all aspects of theatre-making. You will not only be creating new drama, but gaining the knowledge and understanding needed to engage communities, and exploring the world in the wide variety of environments covered by the term Applied Theatre – such as schools, community or health centres, prisons, hospitals, or out on the streets. Our strong industry links and on-going relationships with many experienced practitioners and companies working in the field allow us to prepare you for a varied career. As the course progresses, you will work increasingly independently, spending six weeks of the second year on a full-time placement, and in the third year collaborating with fellow students in forming professional ‘companies’, working collectively in live situations. The course ends with a festival of Applied Theatre, which serves as a showcase of your work and a bridge to a wide range of employment. 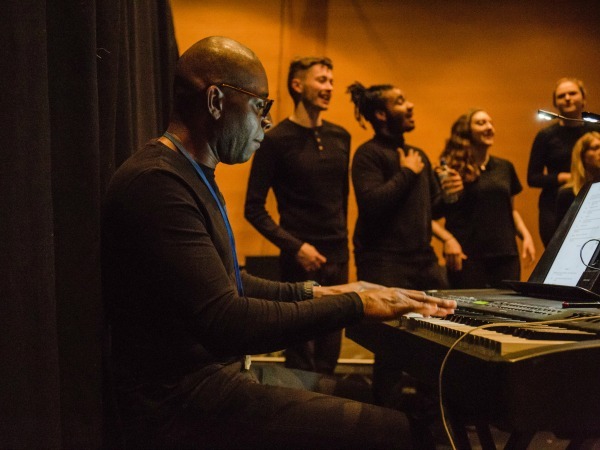 At Royal Birmingham Conservatoire we believe that creating theatre with social and political objectives can have a significant impact on the lives of individuals and communities. We use performance as a tool to explore the world, raise awareness, educate, empower, and instigate real and lasting change. As an emerging practitioner we will supply you with artistic space, autonomy and choice. With a primary focus on performance, you will also explore the reasons behind the work looking at its history and theories while developing an understanding of the need for constant research, discussion, reflection and development of your practice. 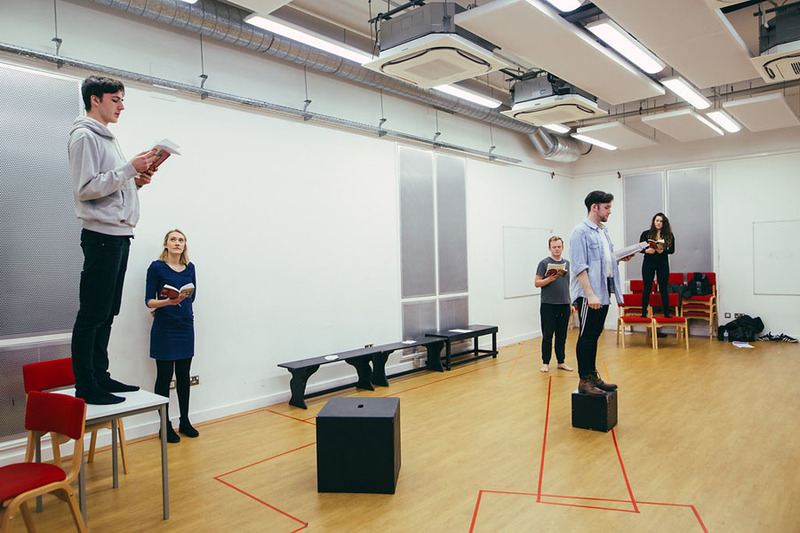 The course is partnered with Birmingham Repertory Theatre, one of the UK's leading production theatres, which gives you fantastic opportunities to engage with The REP's facilities, productions and participation programmes. We also have strong ongoing relationships with the Old Rep and its burgeoning community and outreach programme, and the mac, as a major provider of new work for young people and community groups. Other key partners include Geese theatre (the UK’s leading prison theatre company) Big Brum, Safeside, Women and Theatre, Stans Café and the Playhouse. 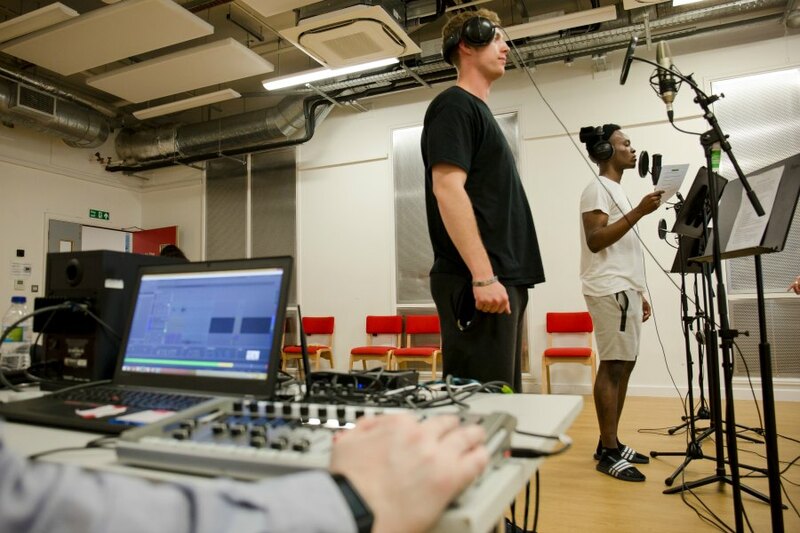 The course embraces students from a wide variety of performance backgrounds and actively encourages you to develop your own areas of interest and practice. Recent students have included spoken word artists, musicians/singers, dancers and those with interests as diverse as puppetry and arts administration. If you are passionate about the power of theatre, and you want to make your voice heard, this is definitely a course to consider. 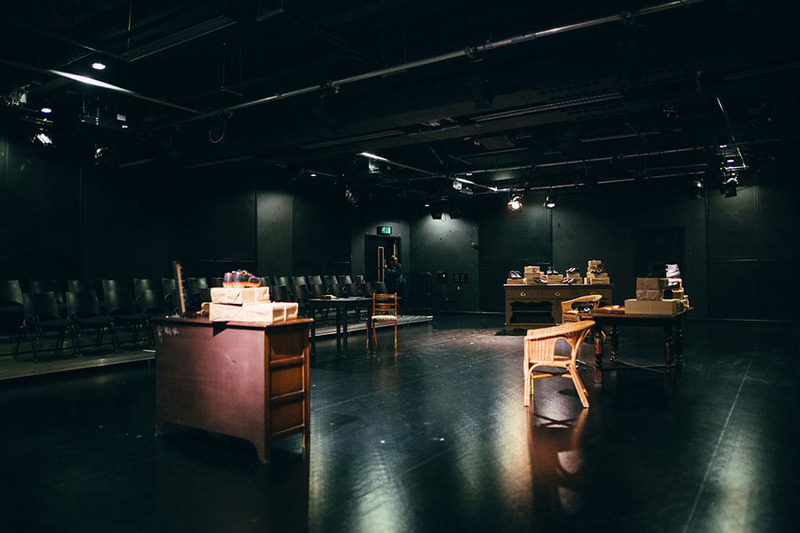 Many students have gone on to work with one of the 50 small-scale and independent theatre companies in Birmingham, or elsewhere around the world, or to develop new companies, or pursue freelance work within Applied Theatre. Others have gone into other creative fields, or teaching or found that the skills they have gained on the course are transferrable across a wide range of work. 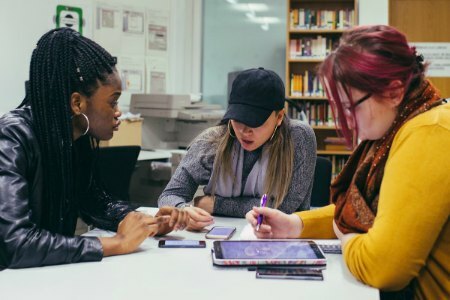 Staff, students and graduates from the course also run Outspoken, the degree course's own production company that aims to "empower young people to be politically active in their city, using art as protest, making innovative work in Birmingham with social and political objectives." You will be taught by a team which is as skilled and experienced as any teaching applied theatre in the UK. 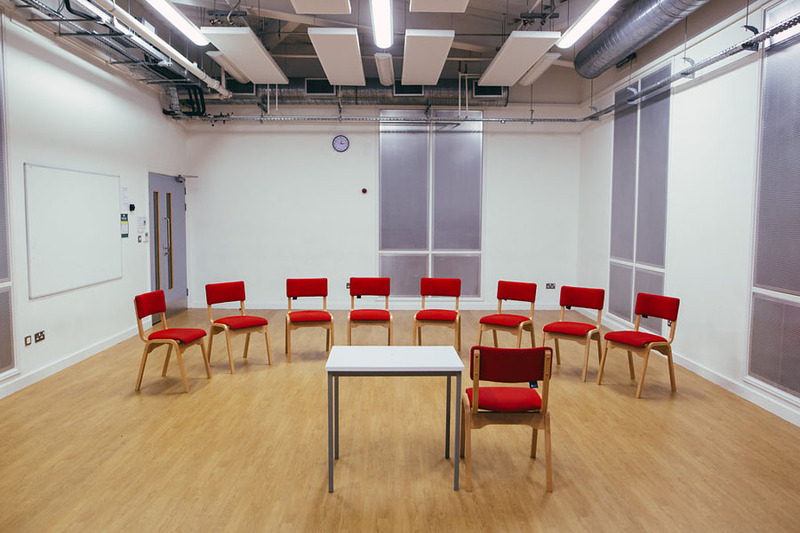 There are two full-time tutors who are supported by a range of professional staff, all with extensive knowledge, expertise and experience within Applied Theatre. Our team is made up of visiting tutors, and in-house lecturers, all of whom have and continue to work in industry. The course has many industry partners, providing you with fantastic opportunities to engage with other professionals and networks. These include Birmingham REP Theatre, Playhouse Theatre Company, Women and Theatre, Big Brum, mac Birmingham and The Old Rep. 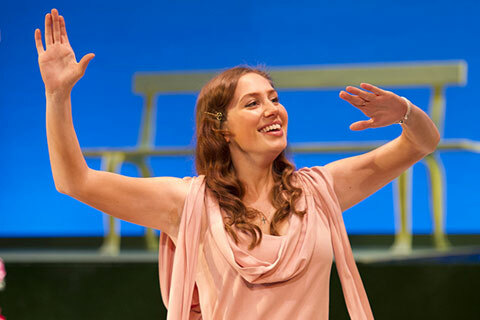 Studying Applied Theatre as a degree is a sensible option for anyone who not only wants to pursue a career in theatre and performance, but also wants to create work of real and lasting value in the world around them. Or continue their studies, with many choosing to take teaching qualifications and move into the formal education sector. If you’ve got any questions about the course, we’d love to hear from you. Please email the Course Director: Peter Wynne Willson. You should normally have an A-level or equivalent in drama, dance, performance or a related arts subject. During your first year of study you will be introduced to applied performance in a range of community and educational settings. Your first year will be delivered through a series of six modules, each focusing on a different aspect of applied performance. You will develop skills and techniques in performance through skills-based teaching. You will undertake weekly voice and movement classes through the Skills Workshop module, and you will be taught acting techniques through the Performance Workshop module. Regular dance theatre workshops and one-off workshops focusing on a range of art forms take place throughout your first year. You will have the opportunity to explore performance poetry, story-telling, physical theatre, clowning, mime, mask, singing and aerial work. Your first year of study offers you the chance to explore different art forms and creative space, developing your own artistic practices. Through the Workshop Facilitation module you will establish the tools for designing and facilitating a workshop for a specific audience. 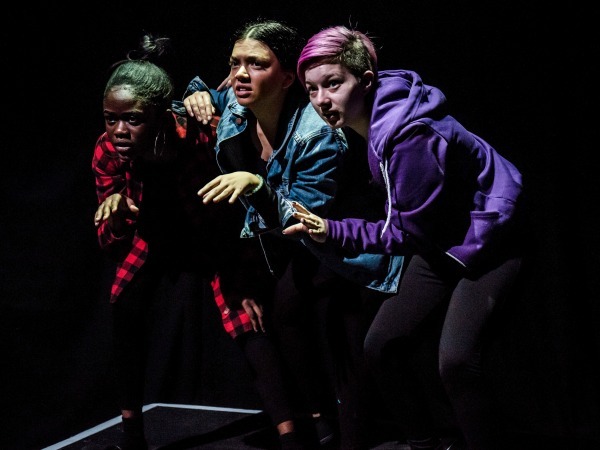 You will undertake a performance project at the end of your first year, which usually takes places at mac Birmingham, and is intended as a children’s and family theatre piece. You will also explore the meaning of community, identity and their relation to culture and arts. You will learn through seminars and workshops, with an introduction to critical theory and contextual studies. Within this module you will be assessed through your contribution to workshops, with the support of a written essay. 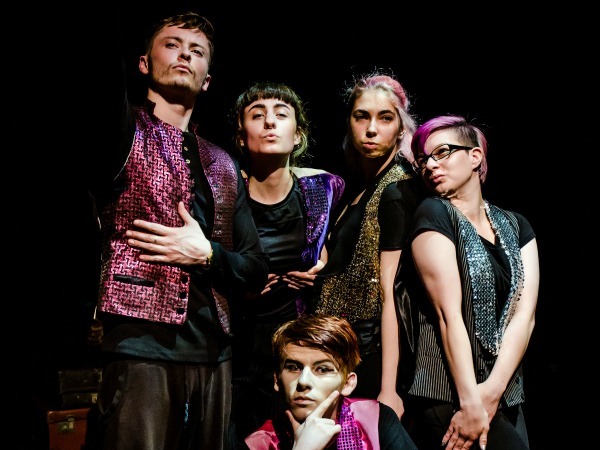 The module will provide you with the necessary knowledge and skill to operate as a reflective performer by exploring skills such as improvisation, devising, character work, acting techniques, poetry, mask movement and physical theatre. Within this module you will investigate community arts practice in the UK, exploring the relationship between culture and art. You’ll cover topics such as the reality of community within Birmingham and beyond, and the exploration of identity. You’ll explore current cultural issues through debate and discussion, supported by written coursework. This module is assessed in an even split between a practical exam and a written assignment. You’ll investigate identity forms, practices, traditions and histories of performance and theoretical explanations of those histories in both Western and non-Western traditions, analysing and critically exploring the work of key practitioners and applying critical theory to a performance text. Your assessment will be delivered through a practical exam and a reflective journal. 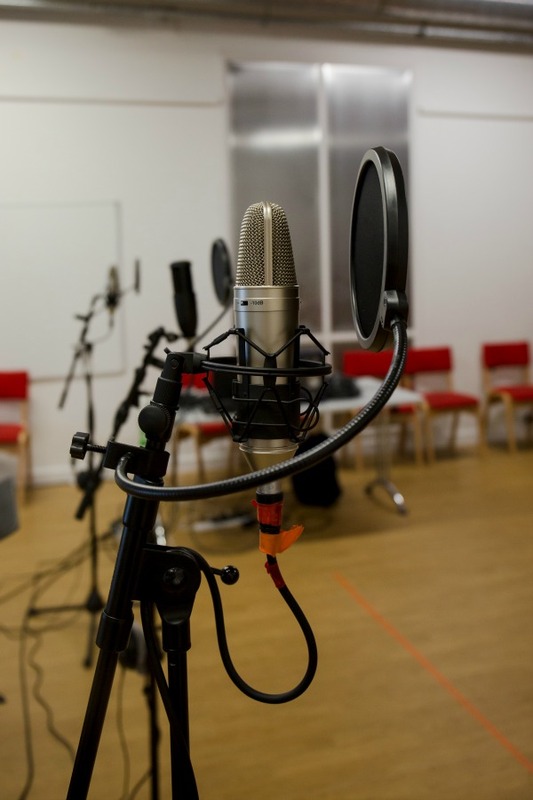 You will be taught through studio-based workshops and explore the wide range of physical and vocal possibilities both individually and as a group. You will explore health and safety and how to use your voice and body creatively. 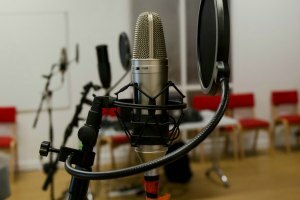 The project aspect of your first year is designed for you to demonstrate techniques in performance, voice and movement. You will develop your characterisation, image, text and narrative skills in the creation of a performance. For a specific audience, you will perform an imaginative and dynamic piece as part of an ensemble. This module is designed to develop your awareness and understanding of delivering workshops. You will learn how to write aims and objectives, design a workshop plan for a specific group and develop and facilitate a workshop experience, demonstrating good practice. You will be assessed through practical exams and coursework. Your second year of studies will be delivered through skills based classes, such as Skills Workshop Two. You will continue to have weekly voice and movement classes, focusing on the facilitation of physical and vocal warm-ups within community groups. With a focus on making performance you will build upon the skills practiced in your first year during the Workshop Facilitation module. 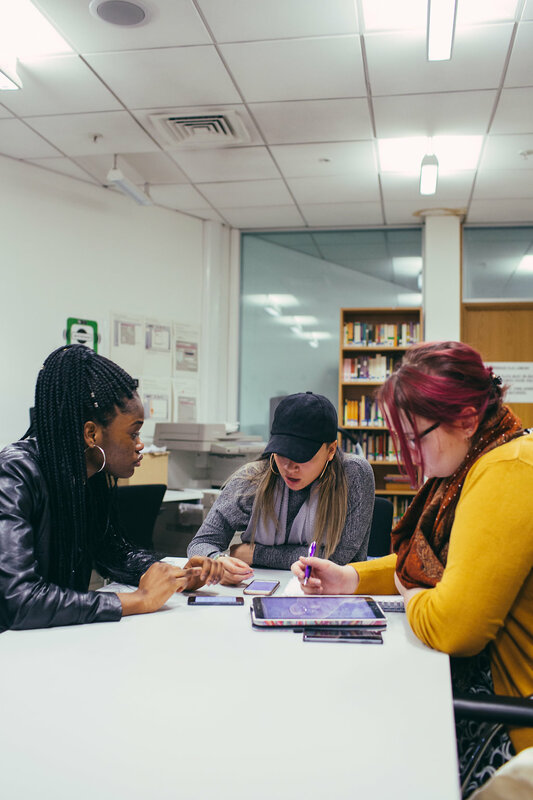 In the Project Two module you will take part in three performance projects, including a theatre in education and a theatre for young people piece as well as a devised site specific piece. You will also take part in pre-show and post-show work which you will devise in small groups. In the Project Two module you will take part in a performance in schools and colleges, created in a smaller group, with professional director. You will also produce theoretical work that mirrors that of your practical work. You will explore the wider implication of various social and political approaches to practice. Within the Applied Practice and Theory module you will develop your understanding of the range of Applied Performance work. Throughout the year you will also have seminars and workshops that are led by guest practitioners and lecturers who work within different fields of applied practice, such as education, health and prisons. You will research into an area of your choice, allowing you to enhance your knowledge of your personal interests. A key aspect of your second year of study is a six week placement in term three. Within this module you will produce new, creative and effective performance material. You will research and source material constructing performance and the basic frameworks needed in order to make and write a piece of performance. You will be expected to critically reflect on your work and produce a written evaluation. Within this module you will gain an understanding of the relationship between performer and spectator, and how this alters in different contexts. You will explore the practice and theory of applied performance and will critically analyse an aspect of this. In addition to this you will create participatory performance work. This module will help you to identify the administrative requirements of a company or venue. You will explore the management of a small production company, gaining insight into budgeting, funding and legislation issues. You will undertake a work placement and you will be expected to present your findings to your tutors. This module, much like the project in your first year, is a purely practical module. You will be expected to conduct research and apply specific forms of applied performance. Focusing on the production of work for young audiences, you will demonstrate the relationship between performance material and its intended audience. Within this module you will design and articulate a workshop plan for a selected group of participants. Writing the aims and objectives for this workshop, you will create learning opportunities within drama, with consideration of the needs, aspirations and experience of your participants. Through collaborative learning in small groups, your second year skills workshop module will provide you with the necessary information and skill to create and facilitate safe practice and warm ups. You will explore deeper into the techniques of movement and voice. Your final year of study builds on the skills you have developed throughout the course. You will engage directly with the community, pursuing your own areas of interest. With several major practical projects you will establish yourself as a well-trained and informed Applied Performance practitioner. 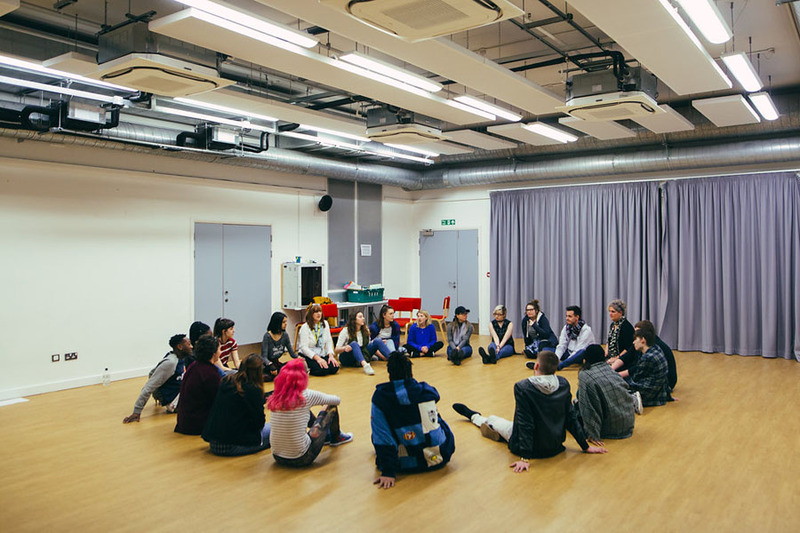 Through an Outreach Project you will produce a workshop for a particular community as well as a detailed resource for teachers containing research on the play, its production and rehearsal process. The resource, which can be web-based, will also research ideas and themes contained within the relevant work that places its status within a larger theatrical and social context. It will offer teachers and facilitators suggestions for further investigation and development, and demonstrate your knowledge and skill. 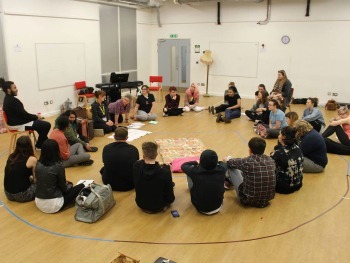 You will work in small groups to devise a multi-disciplined, site specific piece of work. Responding to a series of workshops delivered by industry professionals, you’ll apply your own areas of interest and think critically and effectively. You will develop an in-depth knowledge of theoretical and practical aspects of Applied Performance, with a final project that will demonstrate this. In the Applied Performance Project you work with a community group through community visits, research and a feasibility study. You are expected to manage and administer this project, taking responsibility for the budget. Within your group you will develop a series of workshops with the community group and an end event or performance with, for, or by the community group. Within this module you will devise Applied Performance project proposals. You will be expected to identify theories and models of applied practice appropriate for a particular community. Engaging with the culture and history of this community you will produce a viable business plan alongside productive and effective aims and objectives. Collaboratively producing interdisciplinary work for a specific audience, you will be expected to produce a piece of intellectually and artistically challenging work. The work you produce may be site-specific, immersive, interactive, pop-up or studio based. You will be mentored by tutors and industry based artists through a series of presentations of the proposal, ideas and a pilot piece of work. This module is designed to teach you how to effectively design a workshop and outreach pack. Identifying an appropriate process or model of practice for a particular community group you will facilitate a workshop. You will be required to give clear instructions and articulation of ideas to workshop participants. Working within a small company you will develop a community arts engagement project. You will work with partner organisations, arts centres and third or public sector organisations, facilitating effective workshops and creating a participatory community arts event. You will be expected to critically reflect on your work and its effect on the target community. Learn through experience and transform from student to practitioner while developing your own style of creative practice. 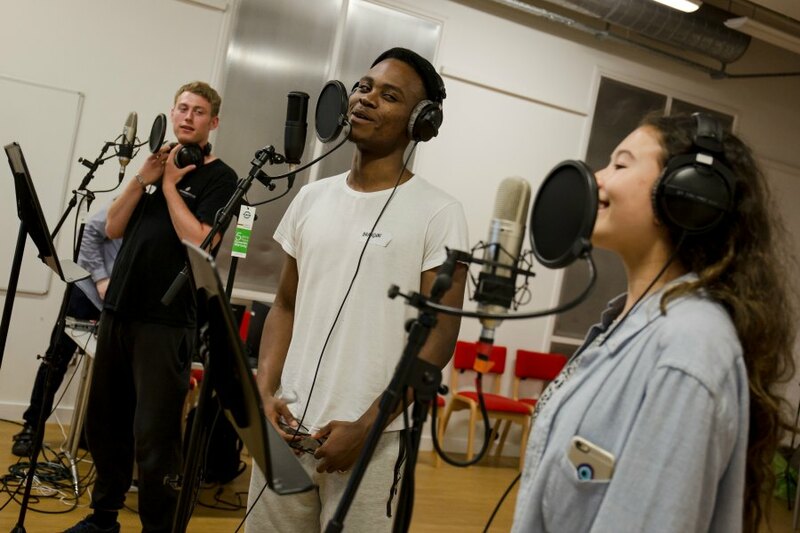 By working in partnership with your tutors, and increasingly independently, you will identify and undertake the roles of performer, deviser, performance maker and facilitator and work with a strong range of artists and companies along the way. You’ll be provided with a supportive environment where you can truly excel – becoming the very best you can be. 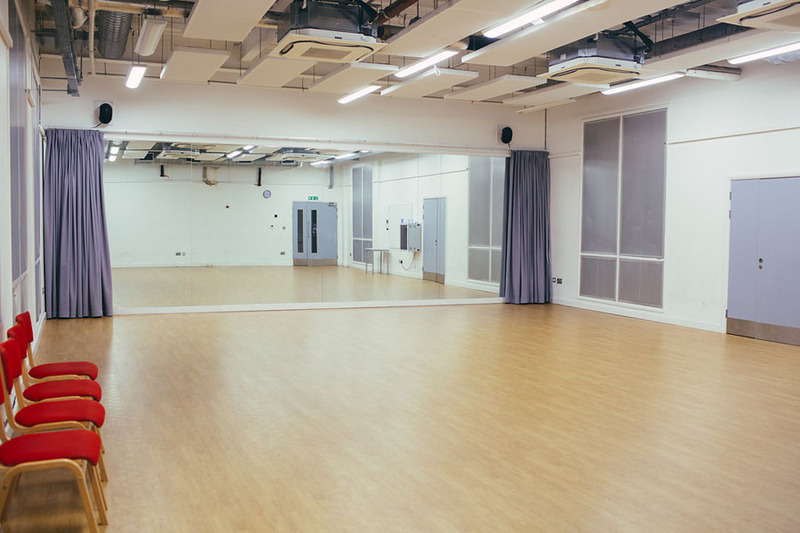 We embrace students from a wide variety of performance backgrounds and actively encourage you to develop your own areas of interest and practice. Recent students have included spoken word artists, musicians, singers, dancers and those with interests as diverse as puppetry and arts administration. You’ll learn by doing, through creating new work, and you will acquire the skills, knowledge and understanding needed to work in the diverse field of work covered by the term Applied Performance: including theatre in education, health, prisons and hospitals, community theatre, or out on the streets. 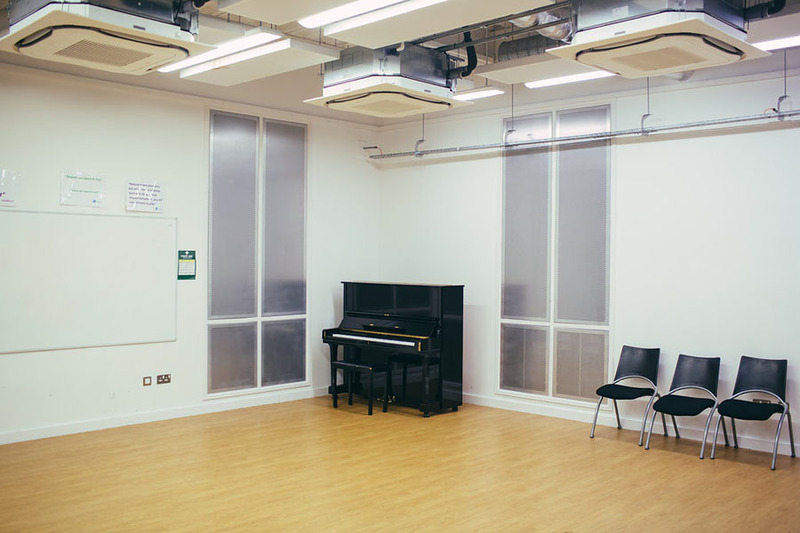 You will regularly work away from the Conservatoire, with young people, community groups and a wide range of participants. If you are passionate about the power of theatre, and you want to make your voice heard, this is the course for you. Do You See What I See?” – MAC, Birmingham June 2017 – Devised by the Company. 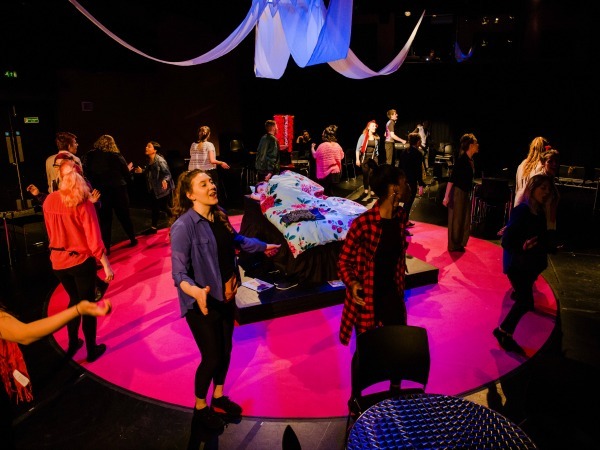 In your second year you will spend six to eight weeks on placement with theatre groups, community groups or schools, in the UK or abroad, as part of the Professional Practice and Administration module. 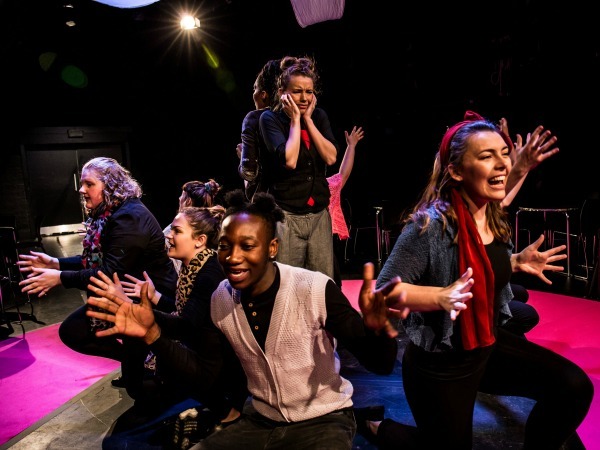 Students have undertaken placements with: West Yorkshire Playhouse, Big Brum, The Playhouse, Women and Theatre, mac Birmingham, Birmingham Repertory Theatre, Chickenshed, Birmingham Hippodrome, Pines Special Needs School, Greenwich Young People’s Theatre and Soho Theatre and Writer’s Centre. 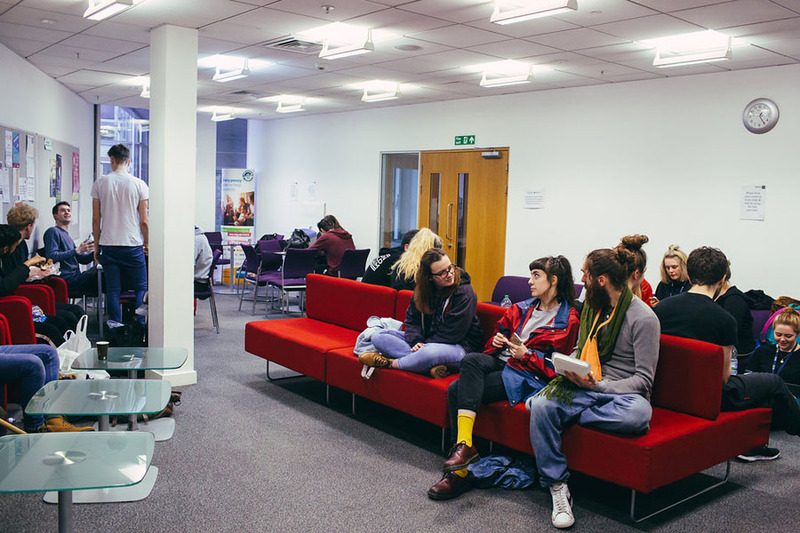 The placement aspect of this course is designed to allow you to gain authentic experience of a working creative company or organisation, as well as acting as an excellent networking opportunity. You will be expected to develop a comprehensive, hands-on understanding of the administrative requirements of a company, including suitable sources of financial support, or different types of investment that are relevant within a professional environment. 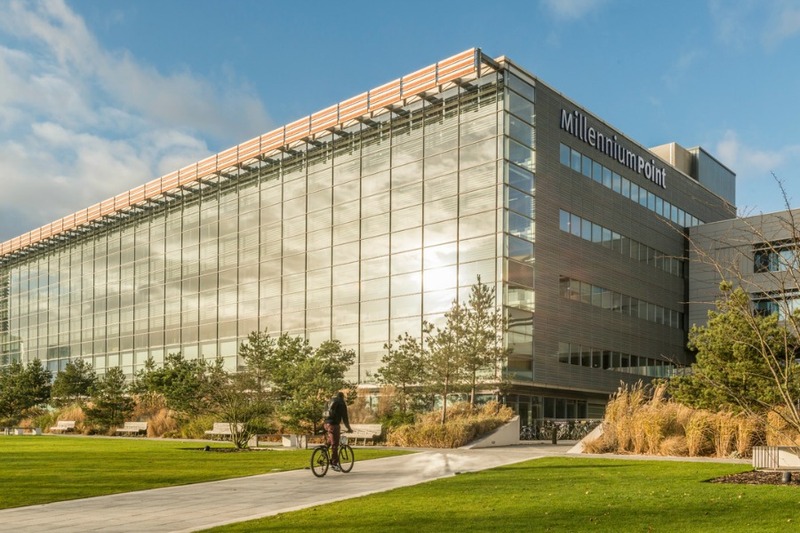 While there are not any timetabled trips or visits within this course you will be expected to facilitate and attend several visits as an aspect of community engagement. These visits are integrated within your modules and you will be assessed on how they contribute to your overall piece of work for the module in question. In most cases you will work collaboratively within a group to organise these visits, at times you will be expected to deliver workshops within a community visit. It is advisable that as a student you engage as much as possible with activities and events that relate to your desired profession. 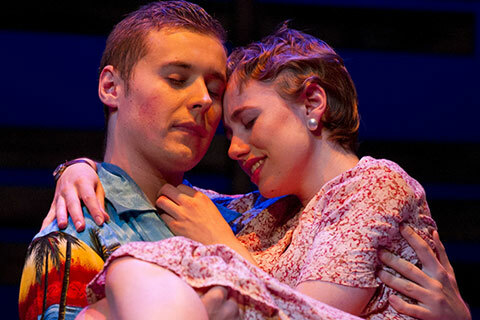 Birmingham Conservatoire (Acting) frequently produces performances in venues across the city throughout the year. We recommend you attend these performances not only to familiarise yourself with the Birmingham performing arts industry, but to network and broaden your knowledge. Kirsty McTighe started her career as an actor/teacher at the Playhouse Theatre – a position she was offered as a result of the partnership between BSA and Birmingham REP. 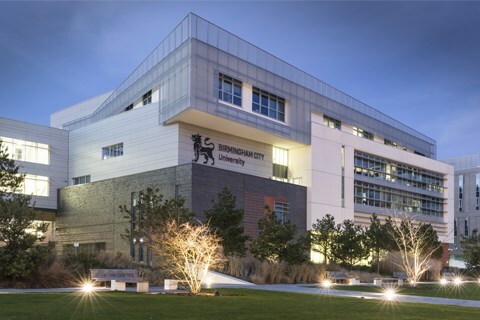 I chose to study at Birmingham School of Acting [now known as Birmingham Conservatoire (Acting)] because I was interested in performing arts and working with children. I had never thought of looking for a course like Community and Applied Theatre (now known as Applied Performance (Community and Education) before, and came across this course after the UCAS deadline but it sounded very interesting so I decided to decline my drama offers and pursue it. 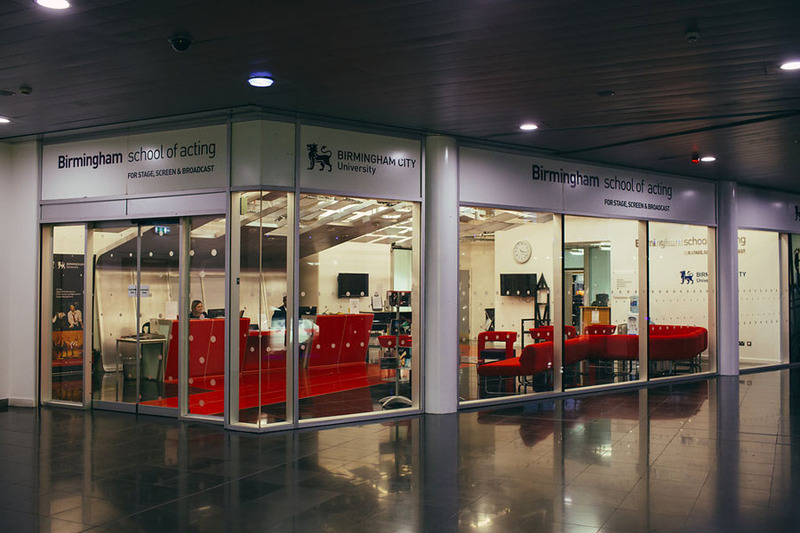 The thing I enjoyed most about Birmingham School of Acting [now Birmingham Conservatoire (Acting)] was that it was small enough for you to know everybody in the building and have more direct contact from tutors but you could also have the big university experience. I also loved the fact that most of what we did was practical. 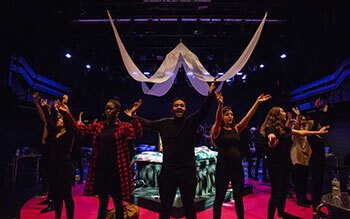 Our Facebook page is run by students currently studying BA (Hons) Applied Theatre (Community and Education) and is a great way to a get another insight into the course. You can also see all the latest news from the course on Twitter. Throughout the programme you will develop both personally and professionally, graduating as a fully-trained applied performance practitioner. You will develop the necessary knowledge, understanding and skill to develop a career within applied performance, and further afield. This course will give you the space to nurture and develop your talent, providing you with the skill to operate with reflective, specialist awareness. An understanding of the relationship between theory and practice will be developed through exploration of a range of cultural and theoretical discourses. Establishing your research, academic, discussion and creative presentation skills you will develop confidence and competency in delivering work. You will establish yourself as a well-informed practitioner by developing an in-depth knowledge and understanding of the contexts and histories of applied performance, theatre and drama. The practical skills you’ll develop will allow you to make interdisciplinary, original work, catering to the needs of specific audiences. You will be able to work collaboratively to devise and write performances. In addition to this you will nurture your ability to plan, write, develop and facilitate workshops for groups, catering to different needs and contexts. You will learn a range of applied performance practical skills and methodologies appropriate to practice within community and educational contexts. Collaboration, leadership, communication, professionalism, and administration skills within professional contexts will be developed throughout the programme. This programme is designed with the purpose of encouraging you to realise your talent and skill. Through intensive work, and creative exploration you will develop versatility and a proactive attitude. You’ll graduate with the ability to take on numerous roles, particularly through the development of a specific set of skills. 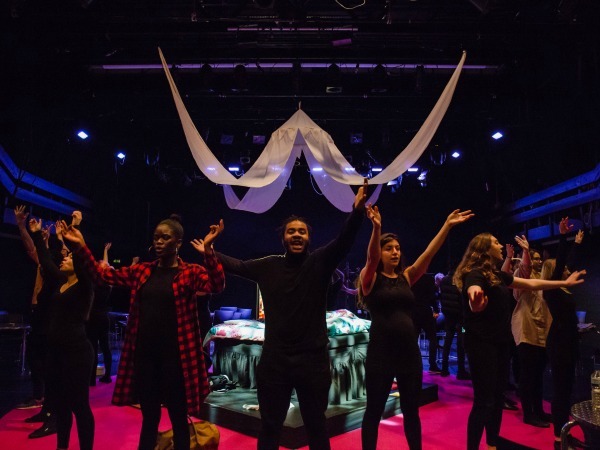 Our students spend six to eight weeks on placement in the second year, with theatre groups, community groups or schools, in the UK or abroad, as part of the Professional Practice and Administration module. The placement will be self-directed – you will hold the responsibility for identifying an organisation or company, and we will help facilitate this. In the past students have undertaken placements at hosts such as: West Yorkshire Playhouse, Big Brum, The Playhouse, Women and Theatre, Birmingham mac, Birmingham REP Theatre, Chickenshed, Birmingham Hippodrome, Pines Special Needs School, Greenwich Young Peoples Theatre and Soho Theatre and Writer’s Centre. The placement aspect of this course is designed to allow you to gain authentic experience of a working creative company or organisation. You will be expected to develop a comprehensive, hands-on understanding of the administrative requirements of a company, including getting a sense of suitable sources of financial support, or different types of investment that are relevant within a professional environment. 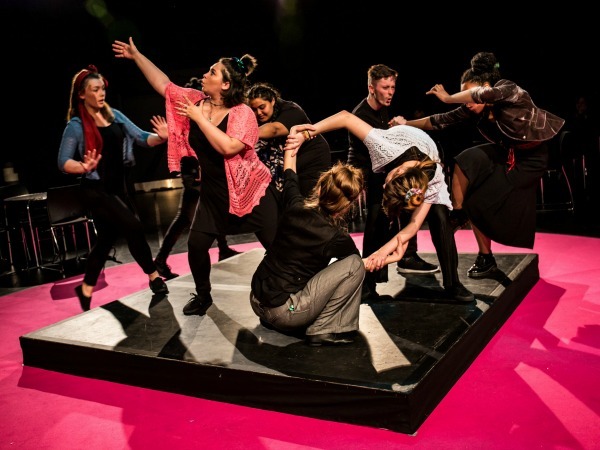 Final year BA (Hons) Applied Performance (Community and Education) student Naomi Cooper, took part in a six week work placement with the Play House Theatre in Education Company, based at Birmingham Rep theatre. She secured her placement with the help of her tutors, and speaks more about the advice that they gave her. Read more about the placement, and the impact it had on her final year projects and dissertation. Final Year BA (Hons) Applied Performance (Community and Education) student Zoe Hedge took part in a six week work placement at Imaginate, based in Edinburgh. 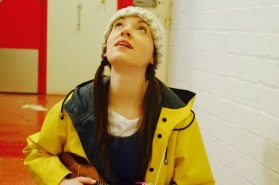 Imaginate is a theatre organisation committed to creating, producing and delivering work for children and young people. Read more about Zoe’s work on their annual International Children’s Festival, and the experience she gained by working across various departments. "In July 2012 I made contact with Birmingham City Council to find out if the organisation Gallery 37 were still running any projects, as I was really excited by the projects they had done previously with communities in Birmingham. After speaking to a Council representative I found that Gallery 37 stopped running any projects as of 2009 due to the unfortunate cuts to Arts Council funding. "So I decided to get into contact with Gallery 37 in Chicago which is where the Gallery 37 in Birmingham had been brought over from. I spoke to them and explained that I was looking to do a six-week internship with them and explained my reasons why. I was delighted when I said that I might be able to work with them but I wouldn’t find out for sure until around December 2012/ January 2013 when they would be planning their spring programme. "I kept in contact with them just to make sure that they would see my interest and passion for art work in community and educational settings and would be able to see the benefits I would hopefully be able to bring to their organisation and vice versa. "In February 2013 I received an email confirming that I could come to work with them in Chicago. I then contacted the Council rep I had spoken to back in July and asked if there was any possible chance that I could apply for funding for my flight and accommodation costs from the Trustees of Gallery 37 Foundation. After finding out that there could be a scope for me to receive a grant, on the terms that I put together a presentation of my internship and present it back to the Trustees, I applied. I was successful and received a letter and a cheque in the post of £650! "At the moment I'm not too sure what to expect as I have never done anything like this before, especially not on my own. Initially I embarked on this road thinking that it was a good idea not for one moment did I think of it as a plausible one. I've been informed that my role whilst on my placement will be their Youth Outreach Officer, which sounds very hands on and daunting. However I'm very much up for the challenge, mainly because I'm going to be seeing a lot of Chicago and working with its different communities." 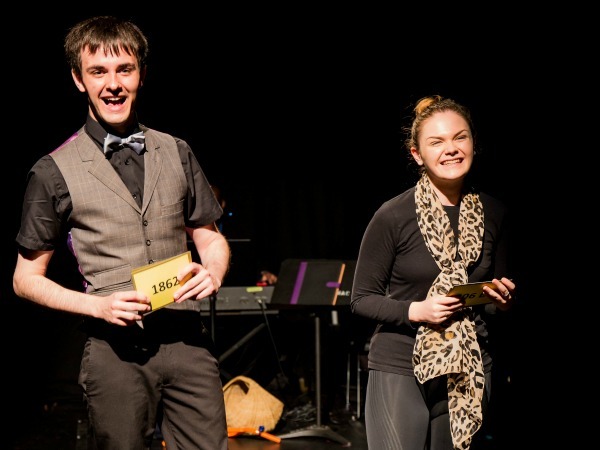 Our graduates go on to work in Theatre-in-Education, Theatre-in-Health, Community Arts, and a range of informal or formal teaching – many set up their own companies, or work freelance in the field. Others go on to further study, or to train as teachers. The high-level of training we offer will pave the way for your future creative career. 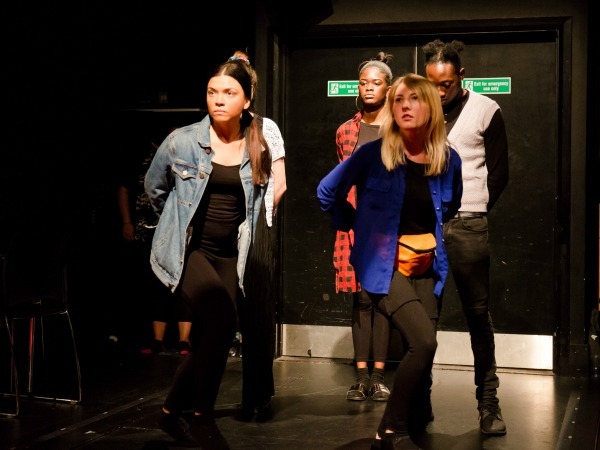 Recent graduate success includes Charlotte Bell, whose play, Little Creepers has just been given Arts Council funding for a national tour, Phillip Morris who works as Youth Theatre Director at Birmingham Rep, Katie Finch, who works as a Learning Assistant with Frantic Assembly. In addition to this our graduate Bethan Ball completed a paid internship with The Birmingham Hippodrome and Naomi Cooper has just been offered a years internship with the Playhouse Theatre Company. Graduate employment is very important to us, which is why we have developed our own company. Outspoken has been designed to employ graduates and give current students further professional experiences. The company creates two new pieces each year, in collaboration with The Artrix Arts Centre. Graduates of this course develop essential skills and knowledge required for further study. If you wish to develop your studies to the next level, this course will give you the confidence and advanced scholarly knowledge required for a Master’s degree within the arts. The course seeks to advance your knowledge, understanding and of Applied Theatre, focusing on community and education. You will develop a theoretical and practical knowledge which can be applied to further study within the field. A number of graduates also go on to a postgraduate qualification in teaching, sometimes for Primary, others for Secondary Drama, as they are able to draw on the skills and experience in workshop facilitation they develop as part of the Applied Theatre course. Peter is a highly experienced Applied Theatre practitioner, who before taking up his current post has had more than thirty years experience as a writer, director and performer in Young People’s Theatre, Theatre-in-Education and Community Theatre. After graduating from the University of Manchester, he returned to his home city of Birmingham, to set up the city’s first Theatre in-Education Company, Big Brum in 1982. After 10 years as Big Brum’s director, establishing the company as one of the UK’s foremost providers of TIE, he became a freelance practitioner, writing plays, devising and directing, as well as being involved in ground-breaking work in theatre in health, theatre for early years, and international collaboration. He has written more than 40 plays for companies including Birmingham Rep, MAC, Big Brum ,Women and Theatre , Moby Duck, Greenwich YPT, Language Alive, Gazebo and Hanyong Theatre Company. He has taught at University of Birmingham, Wolverhampton, Newman Warwick and the Korean National University of the Arts, as well as running short and long courses, writing residencies and presentations across all phases. A founder member of Birmingham Education Arts Forum, and the Theatre-in-Heath Education Trust, Peter has in recent years specialized in creating stories with the under-fives, and in setting up international collaborations between the UK and Korea.